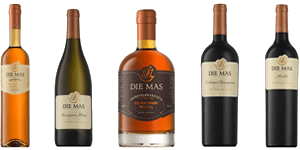 Die Mas Family Farm takes tremendous pride in our vineyards. 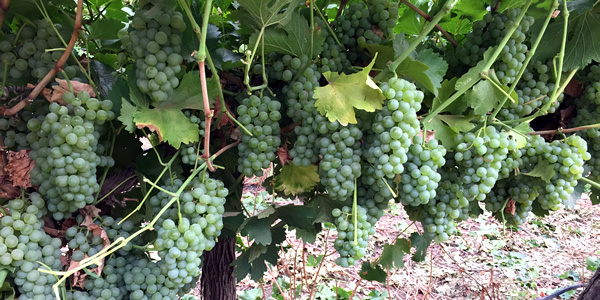 It produces our main income and therefore we carefully assure that every space is filled and every vine is healthy, growing and producing perfect fruit. We go to great lengths with our soil preparation before planting any vineyards since deep, well worked soil provides stronger growth and root distribution from inception. Good soil preparation is essential and also helps with water drainage and beneficial microbes and insects can move more freely and work more efficient in well worked soil. 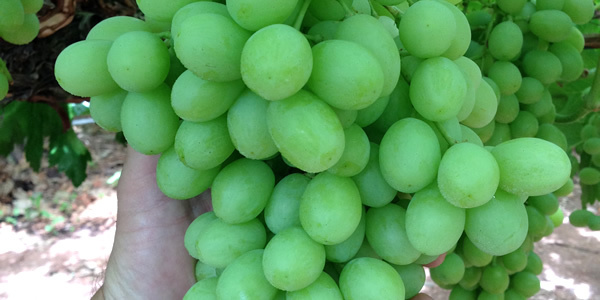 Our table grape farm is situated in the Neus Berg area, between Keimoes and Kakamas. 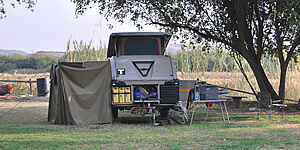 As you drive on the R359 one would see the signboards and the vineyards on the left and right hand sides of the gravel road. 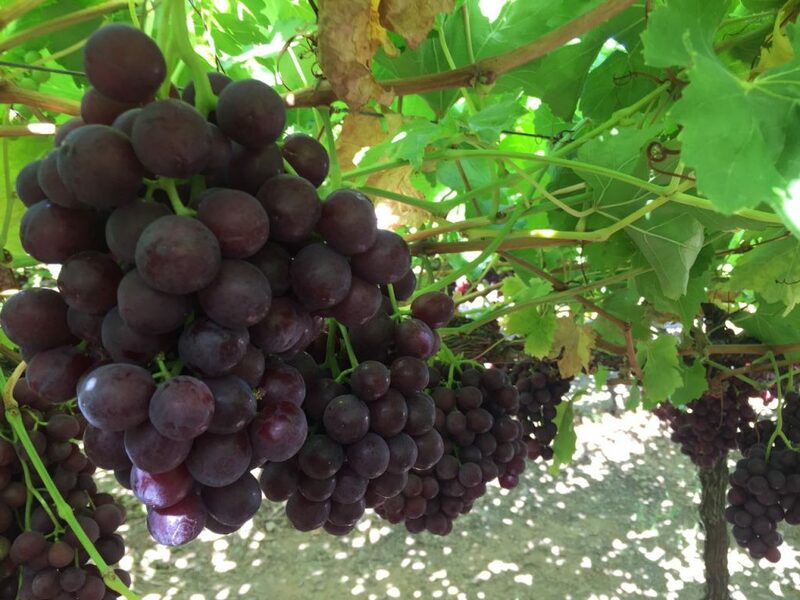 This area and the soil type make for a perfect setting for producing table grapes and we produce grapes of exceptional quality every year. 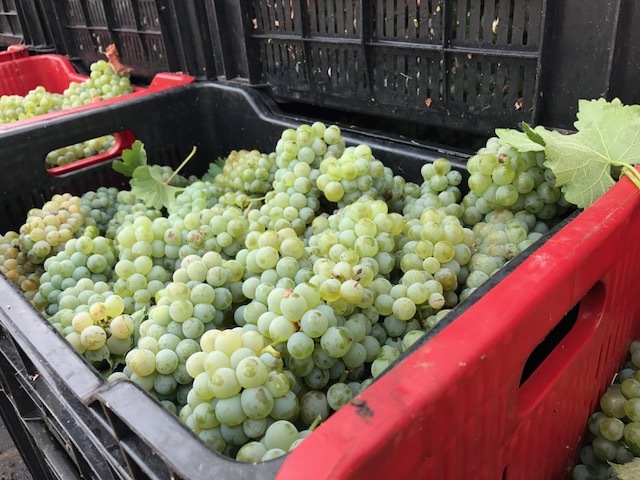 Our grapes ripen early compared to the rest of the area and we manage to pack our popular varieties in all kinds of packaging as per local and international market requirements. 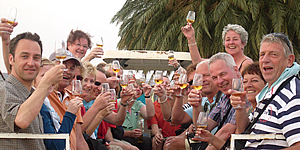 Our wine grapes consist of a wide range of varieties. We have some blocks and varieties farmed and cultivated for mass production and some for premium and ultra-premium wine goals. We always make sure to plant healthy young vines. We ensure that we buy varieties and clones that have been tested and approved by the Deciduous Fruit Plant Certification Scheme. Our motto is ‘A healthy plant produces healthy fruit’. We have systems in place to control and remove any vines with Leafroll disease and Shiraz decline disease. We make sure to take out any vines that show signs of disease or shortages and we strive to keep our vineyards clean and healthy. 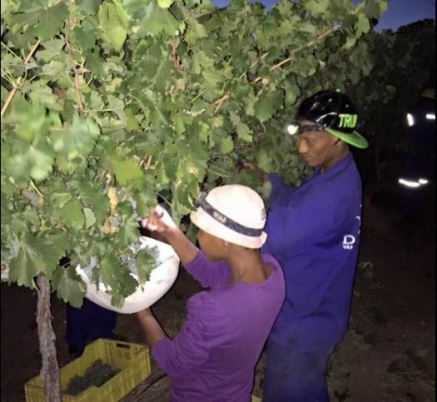 We harvest our grapes at optimum ripeness levels and we even harvest our Sauvignon Blanc from 04h00 in the mornings with head lights to keep the flavours in and to get the grapes fresh and cool into the cellar. 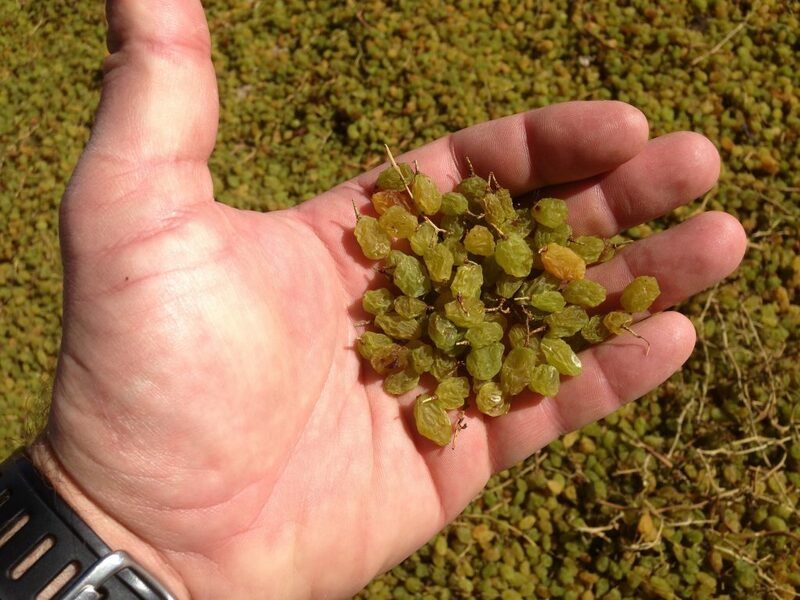 Our raisin grapes are the second biggest income to the farm and we pride ourselves with a history of very good quality and grading on all our raisins. 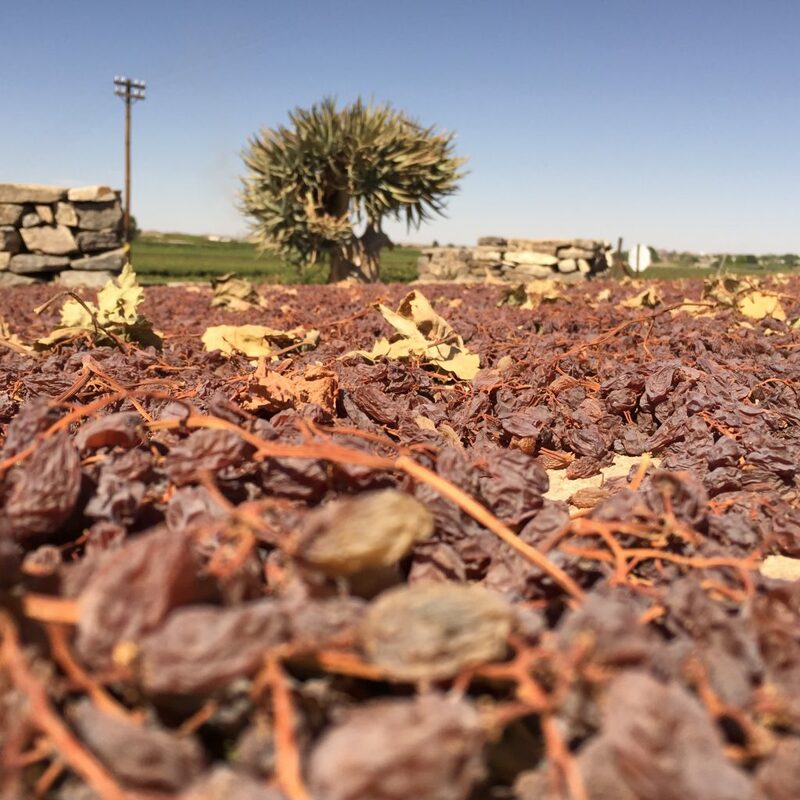 In Kakamas the African sun plays a very important role during summertime and this helps us to make some of the best raisins in the world.